On Friday, April 5th, we will have Eucharistic Adoration following the 8:45AM Mass in the Lower Church. The Knights of Columbus will lead the recitation of the rosary at 6PM and reposition begins at 7PM. Please join us and spend some time with Jesus. We will be distributing our Easter Baskets on Friday, April 12th. If you can donate a turkey or ham for this cause, we greatly appreciate your generosity. You can drop off your donation at the parish office during office hours, 9AM to 6PM. If you know of anyone who is in need of a basket, please let the parish office know at 201-384-0557. All information will be kept confidential. Thank you and God Bless. St. Mary’s will once again volunteer at the Community Food Bank of NJ in Hillside on Saturday, March 23rd, 7:30AM. The work will consist of sorting food that will be distributed to food pantries throughout northern New Jersey. We will carpool from the parking lot, leaving at 7:45, and will return by noon. This is a good opportunity give of our time during this Lenten season to serve the least of God’s people. Sign-ups in advance is required. Contact Deacon John at deaconjohn@stmarysdumont.org or contact the rectory to sign-up. Due to insurance regulations children under 12 are not permitted in the warehouse. Our next trip to Hackensack Walk-in Shelter will be Wednesday, March 27th. Pans will be available at the doors of the church next weekend, March 23rd/24th. We appreciate any help you can give us. Given by Deacon Rich McGarry. Rich holds a degree in Religious Education from Felician College where he currently teaches Religious Studies. He also holds a Ph.D. degree from Fordham University. 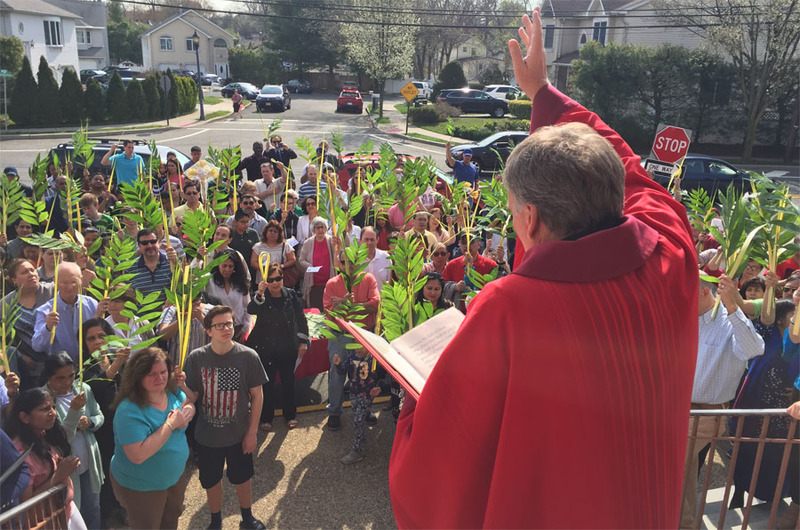 He is a deacon at St. Anne Parish in Fair Lawn. His ministry includes religious education, spirituality, liturgy, and social justice. The evening will be held on Wednesday March 27th at 7:30PM in the Spiritual Formation Center. We invite our parishioners to come to a Communal Reconciliation Service which will be held at St. John’s church in Bergenfield at 1:30PM on Saturday March 30th. We will also participate with Ascension parish from New Milford. On Friday, April 5th, we will have Eucharistic Adoration after the 8:45AM Mass in the Lower Church. The Knights of Columbus will lead the recitation of the rosary at 6PM and reposition begins at 7PM. Please join us and spend some time with Jesus. The Feast of St. Joseph is celebrated on Tuesday, March 19th. In addition to our usual daily Mass schedule of 7AM and 8:45AM, we will also have a parish liturgy at 7:30PM followed by a social featuring St. Joseph’s bread and pastries in the Spiritual Formation Center.